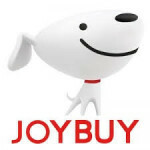 JoyBuy.com simplifies the process of purchasing goods and products directly from Asian manufacturer at wholesale prices, opening up an online marketplace to businesses large and small as well as individuals. A free account can be created on the marketplace to buy or sell items, almost all of which are available at deeply discounted indirect to consumer prices. Customers also have the chance to order custom purchases from manufacturers they have built a relationship with, with JoyBuy.com handling the facilitation of communications back and forth on the platform. Bundled deals, bulk discounts, and container shipment options are all available directly from this company as well. Save Up To 70% On Health And Beauty And Free Shipping. Receive up to 70% off on Health and Beauty and Free Shipping.